When the cowbell sounds at the McDonald’s location on Mack Avenue and I-75, that means a customer has ordered the new 100 percent fresh beef, not flash-frozen, Quarter Pounder. The change is part of a nationwide rollout that began in March, when McDonald’s began using fresh beef in some of its products. These hotter, juicer burgers will be offered to customers through both the Quarter Pounder and Signature-Crafted Recipe platforms. It’s the latest step in a journey to build a better McDonald’s across Michigan by embarking on a food journey and enhancing the customer experience inside and outside the restaurants. The Mack and I-75 location will also debut self-ordering kiosks in the near future. McDonald’s said there will be no change in price as a result of using fresh beef. There is no indication that fresh beef will be used in other menu items. Carmen Turner, 35, lives in the Diggs Homes just up the street from the McDonald’s and has been coming to that location all her life. She said the fresh patty tastes completely different from the original. McDonald’s pointed out that it sources some of its beef from Michigan. In 2016, the company bought 11 million pounds of beef from the state. McDonald’s says it has been on a “food journey” over the last several years to better the chain and enhance customer experiences. By June, all McDonald’s Happy Meal menu offerings will be 600 calories or less and will be compliant with new criteria for less added sugar and saturated fat. More than 75 percent of the meals will meet McDonald’s new sodium guidelines. The chain is also committed to taking high-fructose corn syrup out of their buns, using chickens not treated with antibiotics and has fulfilled that commitment. The use of cage-free eggs and food packaging from renewable, recycled or certified sources is expected by 2025. “We’re evolving with our customers and reacting to what our customers want,” said Phil Saken, McDonald’s communications manager for Michigan and Ohio. 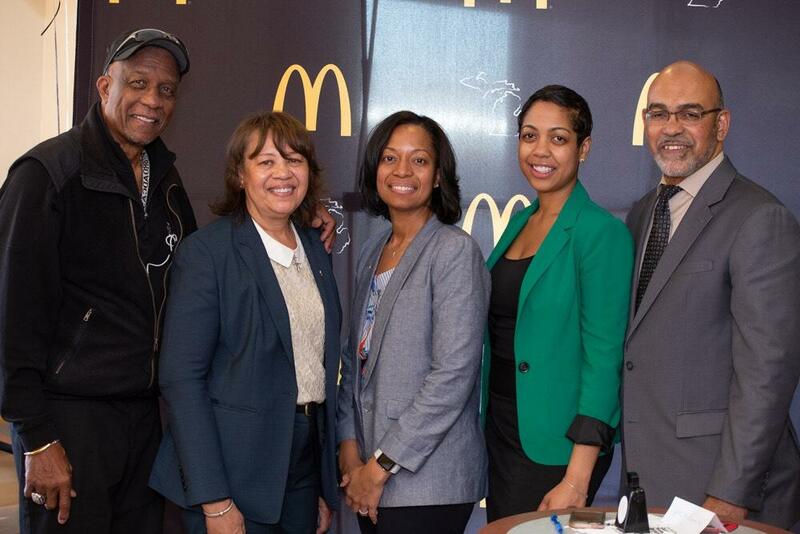 The Archways to Opportunity program is McDonald’s access to education initiative which helps employees further their education and achieve their dreams. Through the program, employees who have worked at McDonald’s more than 90 days are eligible for tuition assistance, receiving assistance toward earning a high school diploma or college degree, career advising and more. McDonald’s also announced that they are making an additional 5-year $150 million investment into the Archways to Opportunity program, tripling the tuition assistance that employees can qualify for, offering $2,500 tuition assistance to any two-year, four-year, or vocational school.